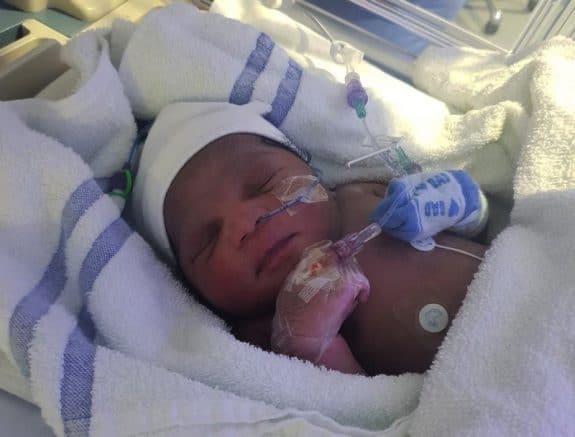 A newborn baby is lucky to be alive after she was abandoned in a London park in freezing conditions. The Metropolitan Police said in a statement that the baby girl was left in a park in Newham, east London, on Thursday, as the temperatures hovered around zero Celsius. The newborn was found in a small children’s play park on Roman Road, near the junction with Saxon Road, by a woman walking her dog with her children after she heard the child cry. The child was in a shopping bag, wrapped a white towel on the floor next to a park bench. When emergency responders arrived the baby girl was taken to an east London hospital where she is being cared for. Police are appealing for the mother to come forward so she can receive medical care and support. They are concerned about her welfare and think she may be in need of urgent medical attention. Pink Celebrates Hollywood Walk Of Fame Star With Family!